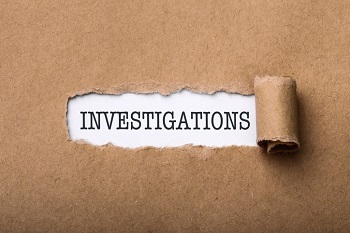 With the launch of the #MeToo era, and increased attention being paid to other suspected workplace wrongdoing, the quality of your company’s internal investigation process is more important than ever. XpertHR recently connected with a pair of leading investigators, Allison West and Michael W. Johnson, to discuss what to do, and just as importantly, what not to do when questioning witnesses. CBS News brought West in to deliver harassment training in the wake of Charlie Rose’s termination. Meanwhile, Johnson has provided client-specific investigations training to dozens of Fortune 500 companies. West discussed what you need to know when investigating sexual harassment claims in her webinar, while Johnson spoke more generally in a wide-ranging podcast that focused on avoiding missteps when trying to judge an individual’s truthfulness in any sort of investigation. West explained that just because someone continues to work on a team does not mean they gave consent to be subjected to harassing behavior. If you have watched any sort of courtroom drama, you’ve undoubtedly heard that hearsay evidence – providing secondhand testimony when the person being quoted is not present – is inadmissible in court. West explained that just because someone heard something secondhand does not mean it’s untrue. Investigators need to follow leads and assess credibility in he-said, she-said situations. “You’ll be clubbed on the witness stand if you’re asked why you didn’t talk to certain people,” she said. Oftentimes an investigator conducts interviews in he-said, she-said cases with a sense that an accused sexual harasser might be guilty, according to Johnson. But the investigator often has no way of finding evidence to support that instinct. Fear their claims will not be substantiated. Johnson is a big proponent of letting witnesses do the vast majority of the talking. Asking yes or no questions or others that only require short responses can be problematic. “If the person is lying that makes it quite easy for them to maintain the lie,” he said. Finally, there is no substitute for an experienced investigator when investigating a sexual harassment claim. Johnson notes that he has served as an expert witness where his only job was to attack the quality of a company’s investigation. “Part of that was the qualifications of the investigator, many of whom had not been trained in the latest research-based techniques,” he said. West highly recommends getting an outside investigator, especially when the accused harasser is in a position of power. Pointing out the tremendous risk of retaliation, she said, “You need an experienced investigator” because of the extremely delicate nature of these investigations. For more insights, check out The Top 10 Things You Need to Know When Investigating Sexual Harassment Claims featuring Allison West, and Investigations Expert Discusses How to Spot Deception featuring Michael W. Johnson.